The first in the series is "Lynx Plays Pretend." He will actually have 2 series versions. The "Junior Edition" is for toddlers and up with mostly pictures and little writing. 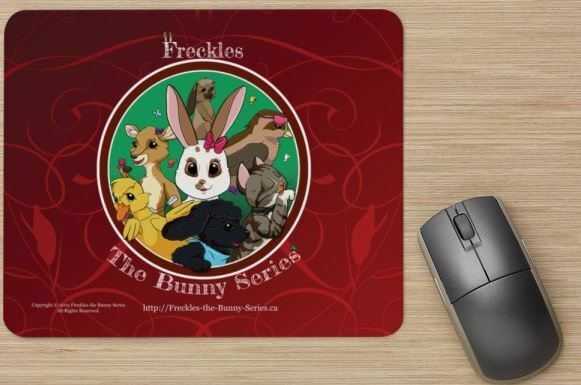 The second set will have the "Junior Edition" removed and will be a bit more like Freckles, but less writing as her newer books. The illustrator for this series is AJ Wanegar. 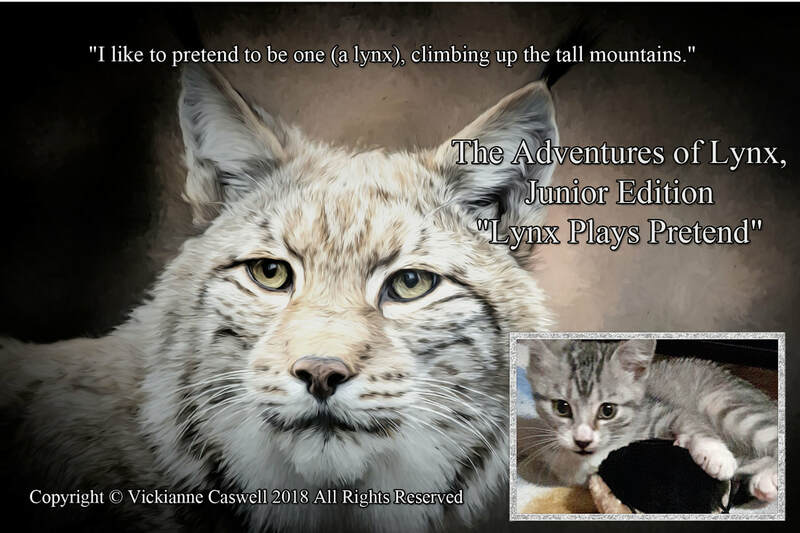 "The Adventures of Lynx, Junior Edition, Book # 1: Lynx Plays Pretend," will be out sometime in 2019. We would like to welcome our new illustrator Athena Whitbread. 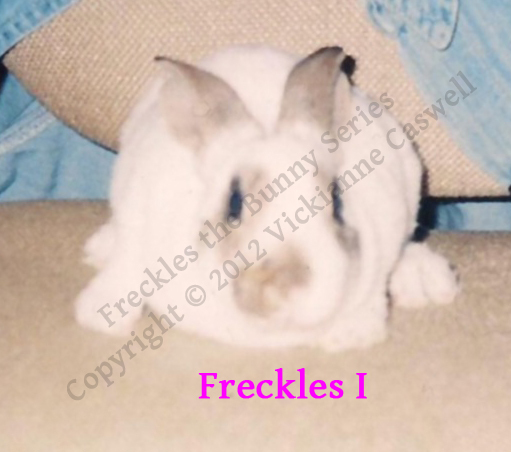 She will begin drawing Freckles the Bunny Series: Freckles' Short Stories, Volume 1 in January. 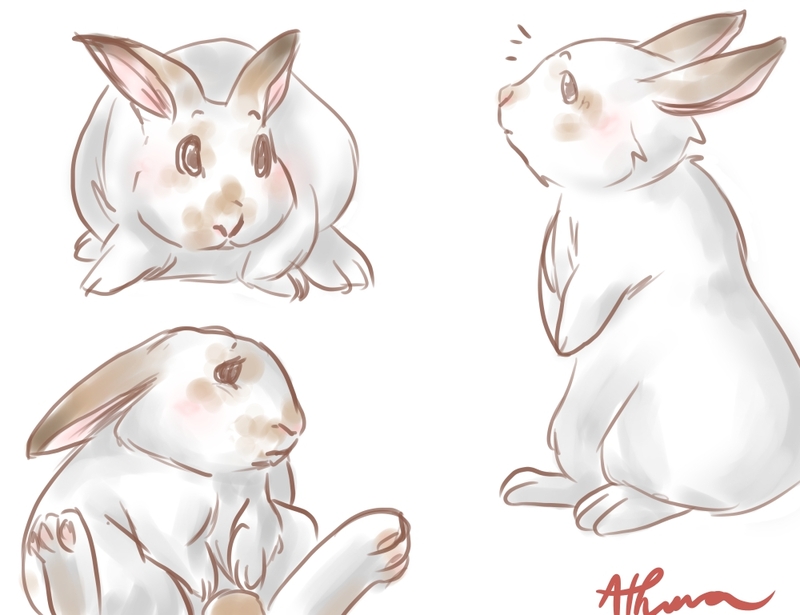 Athena was asked to draw a bunny using Freckles' picture and this was what she sent in. We look forward to seeing the rest of her work! 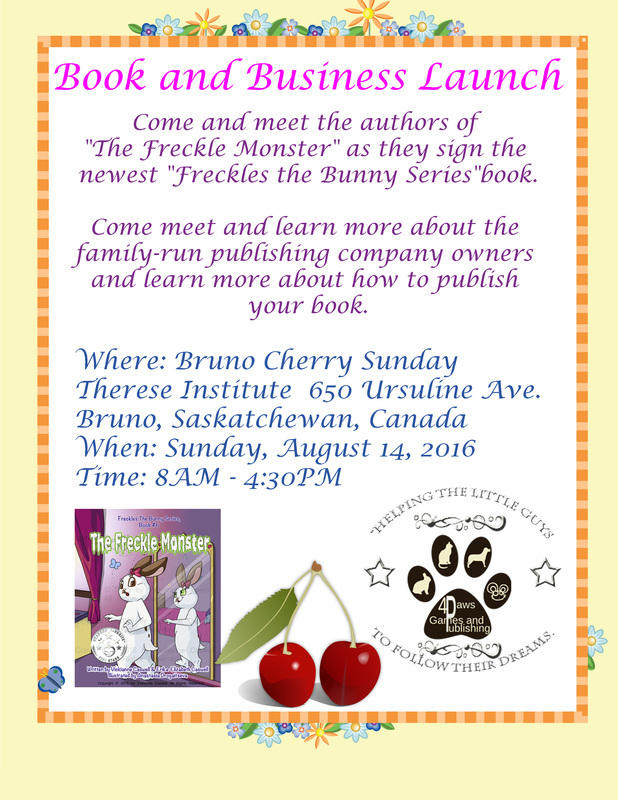 ​Live story reading with author Vickianne Caswell as she launches her latest book in her "Freckles the Bunny Series." It is entitled, "The Freckle Monster." 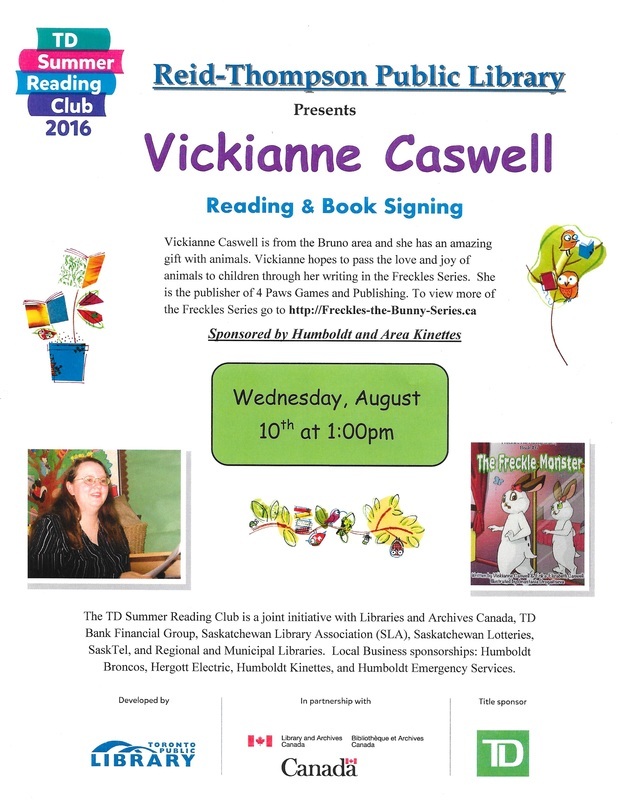 Retiring a book isn't easy and that is what I am going to be doing. I've already begun the process for book # 5 and will soon retire the others as well. I want the books to be the best that they can be. Part of that was finding a new editor. A new editor isn't going to fix everything though. 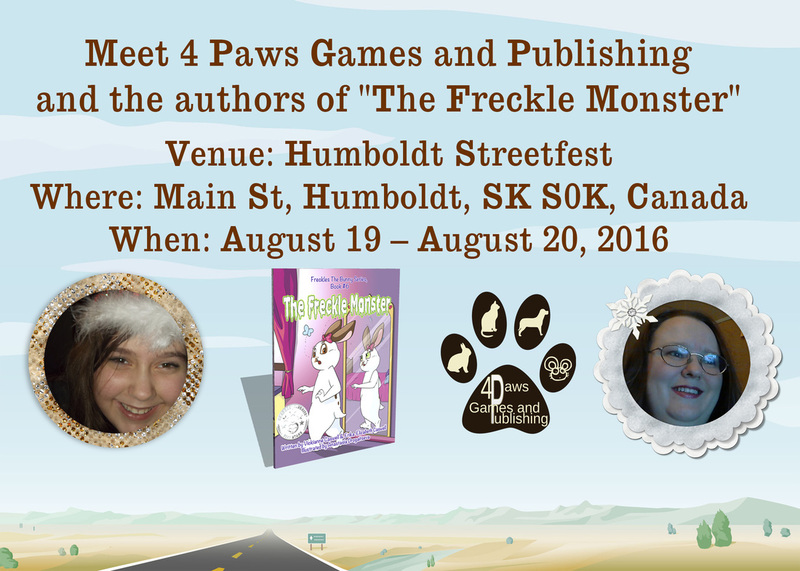 I want my books to be published in Canada, with a Canadian ISBN because I am from Canada. I want my books to feel Canadian and that is why I decided to retire my books. They will be online once again soon. I already have ISBNs available for them and they will slowly be removed and released. I will keep updating you on which books are going down. I don't think they will take all of the old reviews and place them on the new books so I will be sure to move them to the reviews page. This is an exciting time as I start a new company. Unfortunately, it also means my books will slow down for awhile. I know what some may be thinking. It took you a year to get this book out so how much slower can they be? I promise they won't take this long again. I needed time to heal and get used to living in this house once more. I am mostly my old self again and I can write so they will be sooner than this next book was. I haven't forgotten about the other books I was writing either. I plan to fit it all in the best that I can. 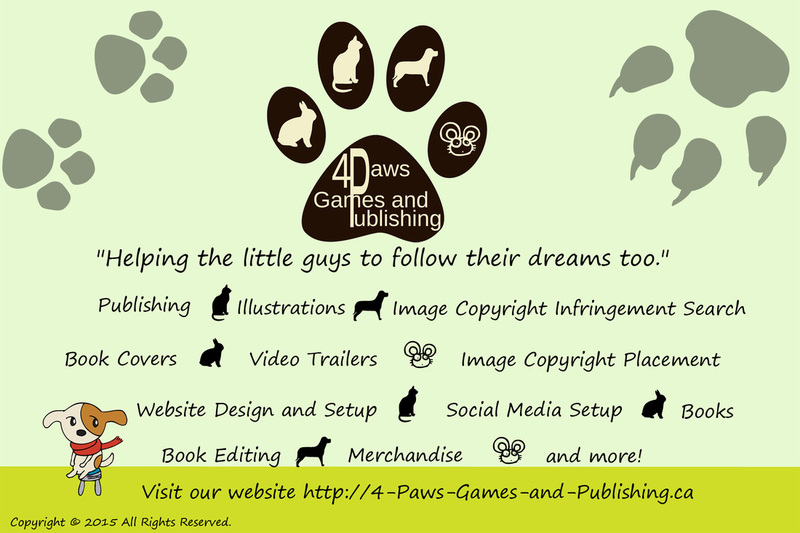 We have some new book trailers done through 4 Paws Games and Publishing. I hope you like them!